Flows Now Back to Excellent Fishing! Flows now back to excellent fishing levels at 282 cfs. Crowds are expected here but lots of area on the river to explore. Some of the biggest fish we have seen in quite some time have been showing their faces. Watch out for the algae on the rocks here, as a couple of bounces with your weight or flies will pick it up pretty thick in the slower sections. Midges, Copper John’s, Hare’s Ears, Crystal Eggs, Assassins, and Crawdad patterns are working well. It has been crowded here in the mornings, but mid-afternoons can open up with light pressure. 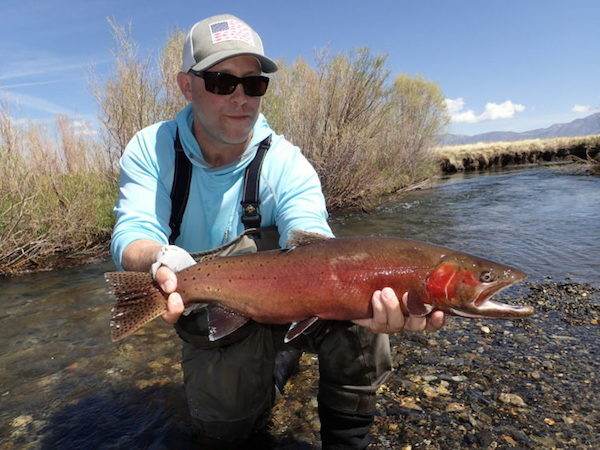 Call us to get on some of the biggest river fish in Mono County.